Hayden Cudworth provides an at home try-on experience. 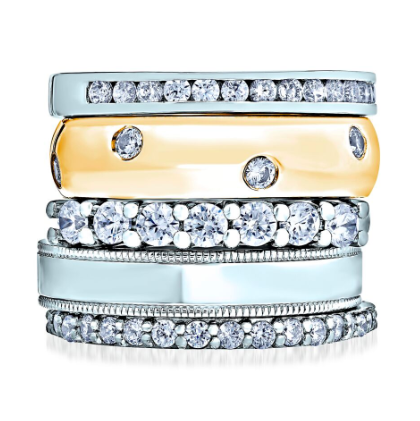 This website is changing the game for couples interested in shopping for wedding and engagement rings. 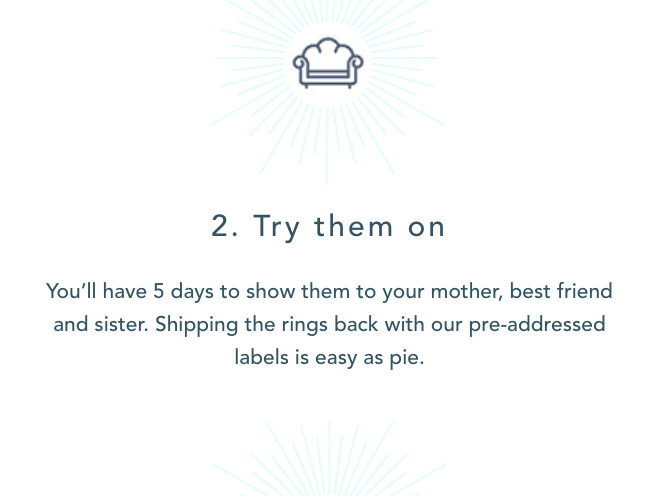 Hayden Cudworth is a cost-free service where the entire ring choosing process happens in the comfort of your home, similar to Warby Parker. It's an easy, three-step process. 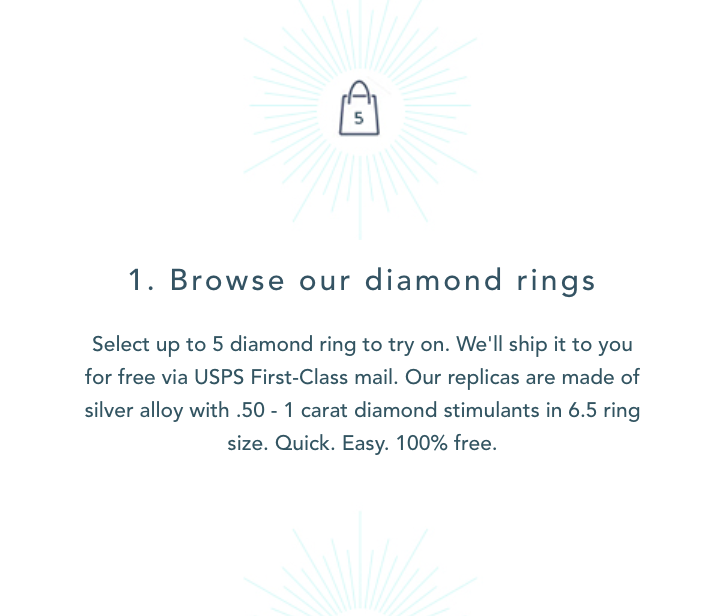 You're able to select and try on five engagement rings and/or wedding bands at a time, which are then shipped for free via USPS First-Class mail. 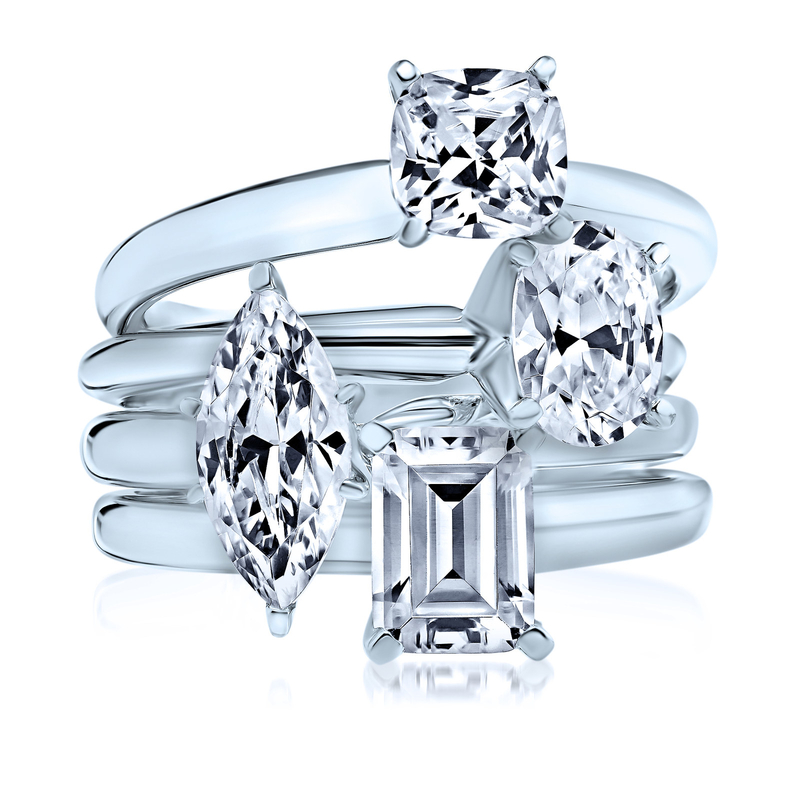 Then, you have five days to try them on and get second opinions from friends and family at your own convenience. 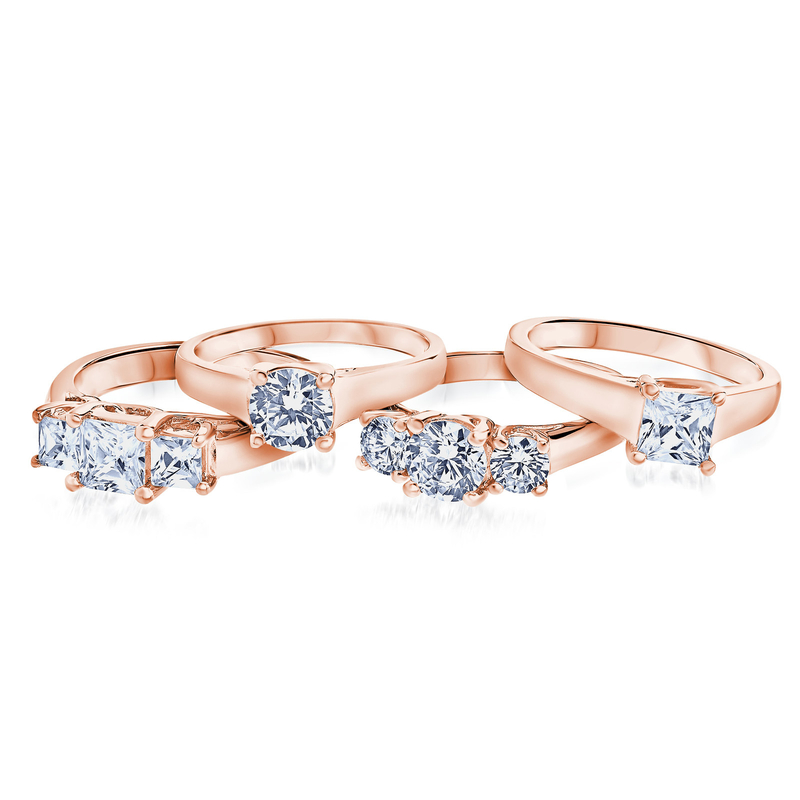 Finally, once you find the perfect pick, you can head back over to the site to purchase it. 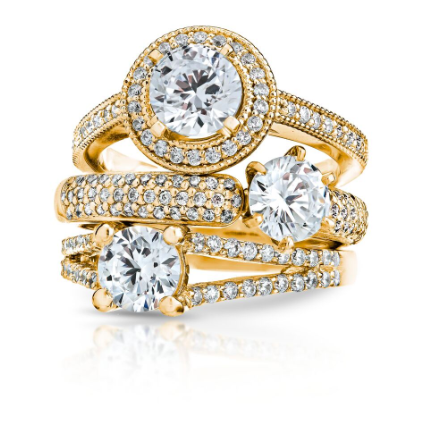 Your ring is customized to your size and choice of finish: yellow gold, rose gold, white gold, and platinum. And voilà, that's it! You don't have to deal with salesmen, and pricing is competitive since Hayden Cudworth is direct to consumer (without the middleman). You can learn more on their website.